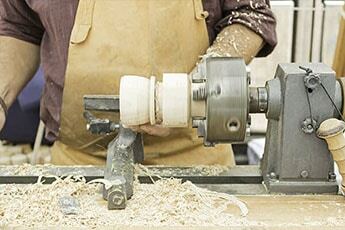 Woodturning is an age old craft that involves patience, skill and a bit of creativity. However, for those who have perfected the skill, the results of their efforts are truly astonishing. 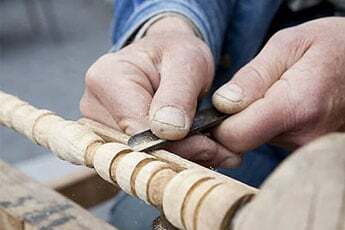 At Mayama, we specialise in providing novice and expert woodturning professionals the project parts they need to produce the works of art they are known for. Creating our own products and designs is something that gives most people immense satisfaction. Wood turning is a skill that will enable you to create your designs that not only look great but are also extremely functional. At Mayama, we encourage you to develop your existing skills and give you guidance as to where you can learn more in our social center. We have over 20 years experience in supplying wood turning project parts so can advise what has been successful for other woodturners. At Mayama we understand that having the correct equipment is essential when it comes to wood turning. 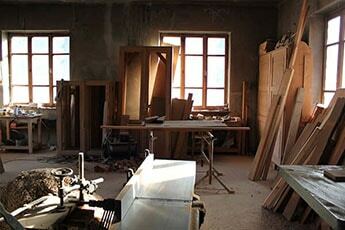 We are Australia’s premier wood turning project parts stockist and stock most things that you may require. We understand the importance of quality products whilst at the same time the need for them to be affordable. Our experienced team are on hand to assist you and offer advice should you require it, ensuring that you get the product that is just right for you. We understand wood turning projects and know what is required to give you the ultimate satisfaction when creating your own designs and products. Regardless of if you require a single item or you require a bulk order, you can be confident Mayama will deliver your items in a prompt and efficient manner. One of the great things about a wood turning group is the fact that you are amongst likeminded people who share a similar interest or hobby. You will be learning new skills or developing on existing one in a great social environment. We can suggest a number of different groups throughout Australia such as a wood turning association and local ‘men’s shed’ groups that tend to have more of an informal feel. It is not expensive to join these groups and you may even be able to create items that you can sell to create or supplement your income. The emphasis of these groups is fun but at the same time learning a skill that is extremely rewarding. We find that most of group members keep returning as they enjoy the social aspect so much. This means that members have the confidence to share ideas, ask questions and be on hand to assist anyone who is new to the group. Emailed Directly To Your Inbox! Mayama was established in 1982 in Perth to serve the souvenir trade. In the early 1990’s the company changed its emphasis from production to supplying component parts. In early 2000 it began supplying to other retail and wholesale outlets. © 2016 MAYAMA. Website by Lightning Sites.